This is one for the history nerds because this is actually the very first blog post I wrote on the ERE blog back on December 4th, 2007. As you can see, I started out presuming the correctness of the 4% rule. By the time I published the ERE book in 2010, I had become more cognizant of its limitations. It’s still useful as a rule of thumb though. Financial planners generally agree that a 4 percent retirement withdrawal rate (a study has been done!) is safe for the long-term as it takes into account inflation, economic growth, and so on. This means that you need 25 times (1.00/0.04 = 25) your annual expenditures invested in income generating assets such as stocks, bonds, CDs, and real estate to retire safely. Note that the home equity of your own house doesn’t count towards this goal as your house does not generate income! Here the first column is all the expenditures you’ve had that day. For instance, on day 1 I spent 5.50 to see X-Men III. On day 2, I spent $45 on groceries and on day 3, I did not spend anything. The second column is the cumulative expenditure. So on day 3, I had spent 5.50+45.00+0.00=50.50 in total. The next column is the average daily expenditure. You find this number by dividing the cumulative expenditure by the number of days, so 50.50/3=$16.83 per day. The final column is the average daily expenditure multiplied by 365 which thus becomes an estimate of my annual expenditure. The more days you include in the table, the better your estimate of your average daily expenditures becomes. For an accurate estimate you need to carry out this exercise for a couple of months but even a few weeks would yield a reasonable estimate. Needless to say, if your annual expenditure exceeds your annual after-tax income, you got a BIG PROBLEM. Now, suppose your annual expenditures converge to about $7000. 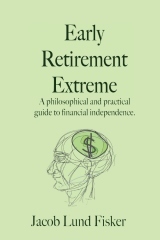 With annual expenditures of $7000 per year, you need 25*$7000 in savings to retire i.e. $175000. So what is your number? Do you plan to increase your savings or decrease your expenses to meet it? 28 users responded in " What is your number? " Of course it will take about 40 years to grow my money by that much, but even then it will be worth roughly $5,000,000 in 2007 dollars adjusted for inflation. A cool $5 mil should do the trick. Target is 30x annual expenditures. In a pinch (expenses go up faster than planned or assets drop further than padded), 25x. My number is around 200,000 euro. At the 2% dividends from global market cap indexing this yields 10 euro per day, more than enough since I will be living with my parents for the time being (just graduated). I also have a company car. By living of 2% only, income stream will increase every year and I will gradually move out, and buy a car (if I quit). I will be at 200K within 50 months if all goes as planned. If I ‘retire’, I will become an entrepreneur. hat’s my real dream, but I want to play it safe first and I have a great job actually. I am also launching a (fully outsourced) side business, and I truly believe I have a fair shot at doing a tremendous amount of good for this world (can’t comment any further currently) WHILE earning $500K for myself, if all goes to business plan. I risk about 5500 euro in startup cost for this project. Forgot to add, I am currently at 20K euro (after deducting the 5K in side business ‘equity’), so I currently have about 1 euro per day in dividend income. This makes me richer than probably a billion of humans on this earth!! It also covers about 100% of what I spend if except for suits, going out and splurges. My efforts are focused around keeping said 3 cost items as low as possible while keeping it tolerable from a social point of view. So this was the first post of your blog eh? I like it. I always find it difficult to get my writing started, but once that first part is done its far easier to continue. Anyway, back on topic (I know this response is way later than the last), at 4% withdrawal rate my number is $450,000. However, I try to be conservative about things so I’m aiming for 3% withdrawal rate. That brings my number up quit a bit to $600,000. I hope to reach it in 13 years or less. Since there is not really time to “wait around” and see how much your daily expenditures are before you figure out your number, one has to come up with quick ways to find annual expenditures. You can use your tax returns or W2s to see your net income for the year [adjusted for savings, investments, debt,… for example, if you have savings, you can deduct this from your net income to find your expenses for that year. If you have no savings, but have gone into debt instead, you would add the debt to your net income, etc.] This would give you a quick number as to your expenses. Of course, there are still other things you have to adjust for, if undeclared, help from family, etc. Of course, tracking your expenses is good for you, so this is just a quick suggestion for those who want a quick figure to get their number, without waiting too long to find out their number. Nice, simple, and clear blog entry! At the end of the day, it all boils down to the basics, and how well you manage the basics. It was 200k for me, but that money grew rather well and since then I have a very nice net worth that will keep giving to my Princess, who shall inherit half of everything. About £250,000, which at the moment will take me about 25 years to reach. I plan to decrease expenses and increase my income however, so in reality I hope to have this in under 10 years. What about home & vehicle repairs, buying a “new” vehicle, a buffer for other unexpected expenses etc? While some of us can minimize some of these, everyone can’t get rid of all of them. Add replacement cost to the budget and it become more realistic. When I was planning and doing my budgeting for my ER 2-4 years ago. I was more concerned with generating enough dividend income to more than cover my monthly expenses. This resulted in having a WR of about 2.5% in the early years of my ER, climbing to about 4% in 15 years. Right now, the ratio of my investments to annual expenses is about 45:1. I used the “Multiply by 25” rule myself when putting together my Retire Early plan. I would use a “Multiply by 20” rule if I were putting it together today. I now know more about how investing works than I did then. That changes the number. Sometimes the best way to make the numbers look better is by learning more about what goes into them! But I’m planning indeed to reduce expenses, increase income and go for better investments. @et – That’s why you do the exercise at the beginning of the entry. That automatically factors in replacement costs if you do it long enough. The math, in real life, is not that simple. There are at least two factors will complicate the issue: Actual returns and inflation. If your investments don’t keep up with inflation, your real income will fall. And, if there is an extended bull market in any investment class on which you are counting to provide you income, you could be in trouble. On top of that, there is the reality of health care in the US and the fact that even if you have health insurance, most of our policies have a cap of one sort or another or there are gaps in our policy. Hit one of those gaps and it could become necessary to choose between your money or your life. The thing is, most people pursuing “early retirement” are actually not pursuing any such thing. Retirement is when you are voluntarily out of the labor pool and do not engage in any endeavor for which you seek recompense, such as self-employment. Me, Jacob, and most of those seeking “early retirement” are actually looking to escape the rat race of the five-day workweek and plan to finance that escape with a mix of passive income and self-employment. That is not the definition of “retired,” however. But you do need the goal of a “number” as that allows you to plan. And, if you continue to generate earned income (as opposed to passive income) after leaving your position as an employee, that income can serve to buffer the effects of both actual returns and inflation. Which is why it is prudent to include some aspect of earned income when planning for semi-FI. I’d argue that the math really is that simple. It’s a person’s comfort with the math that is complicated. If the present situation keeps unchanged I would reach retirement at 44 (i’m 30), having about 490k in brazilian currency. I would be withdrawing 3% yearly. I’m planning to reduce expenses (stop paying rent and others adjustments) and learn about investing so I can count on having 4% over inflation. Will also very probably get 400 more each month. All that would allow retire at 35 with about 215k. Thinking about my expenses after retirement, when I will have more time to grow some vegetables, will cook using a wood stove i will build myself, will make my own soap from wood ashes, have some chicken, build a solar water heating system, then I will need only 110k, withdrawing 4% yearly. If I could reduce expenses to that level today, I would need only 1.72 year to pile up that amount, retiring at 32. So the focus is really on cutting expenses. $7000.00 a year. wow I can spend that easily in 2 months. I would hate to see my magic number…. I could spend a month finding a venture capitalist to fund my selling Digital Rocks Company :), that’s the shortcut right? Then give myself a bonus and pay of $175k per year, and then in 5 years sell the company or IPO it and gradually sell the stocks with barely any Long term Capital Gains taxes. One could build a fully Autonomous Shelter, Garden, Rain/stream Filter Watering system, and incenirating sewage system with decompositing ashes, for oneself, family, community, country, and Humanity if one had the willpower, Time, and Courage. The resources are already given freely in your local landfill or landscape, the knowledge is in your library or wikipedia, and the action energy comes from your own veins. Right now my numbers look bad. I have two kids and recently refinanced to a 10 year mortgage from a 15. Got a great rate, but the payment is killer. So based on today’s numbers it’s $1.35 million. But in 10 years I’ll only need to pay tax and insurance on the house. I’m down to $1.1 million. Also in 10 years my youngest should be just about done with school if she decides she wants to do that. With no kids I’d prefer to move into something a bit smaller, within walking distance of groceries and the library. Now we probably get rid of one car, much lower fuel expenses. Food costs drop as I now have time to garden, more time to cook. Probably $800K would be more than enough, and I am on track to be there in 10 years. The real limit for me is kids. I’m not sure how much value there is in that higher education, but at this point I think if the kids want it I will help them. I don’t want them to start careers as debt slaves. So there’s no way to stop working until that’s taken care of. Knowing your number is definitely helpful especially if you are starting your journey to financial freedom.